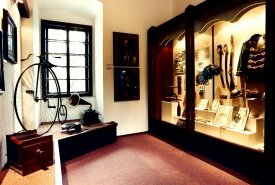 The permanent museum exhibition is dedicated to the history of the town of Lanškroun since its foundation up until 1950. The town of Lanškroun arose from colonization efforts of the Lords of Drnholec, undertaken for the Czech King Premyslid Ottokar II. 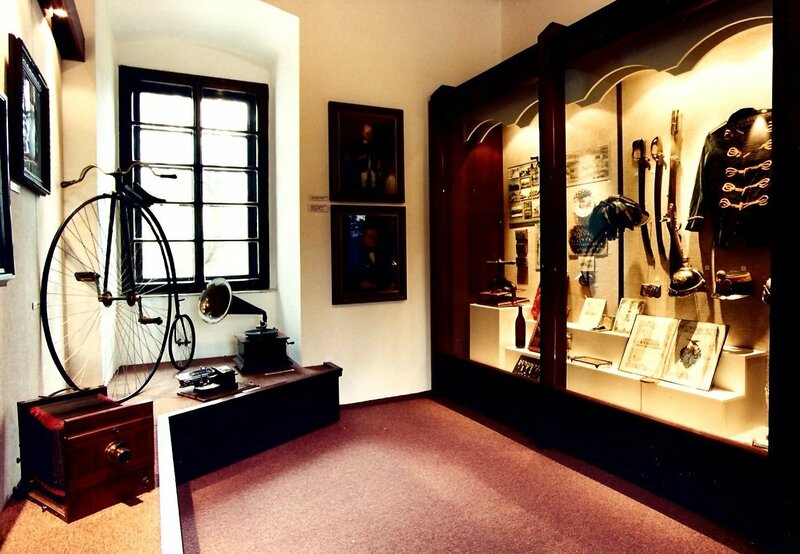 The exhibition commemorates the town’s titleholders: King Premyslid Ottokar II, King Wenceslas II, Zavis of Falkenstein, the Cistercian Monastery in Zbraslav near Prague, the Litomyšl Bishopric, the Kostkas of Postupice, the Pernsteins, the Hrzáns of Harasov and the Liechtensteins. The settlement of Lanškroun is evidenced by archaeological finds from the 13th to the 15th Under the Kostkas of Postupice and the Pernsteins, the town obtained significant privileges. 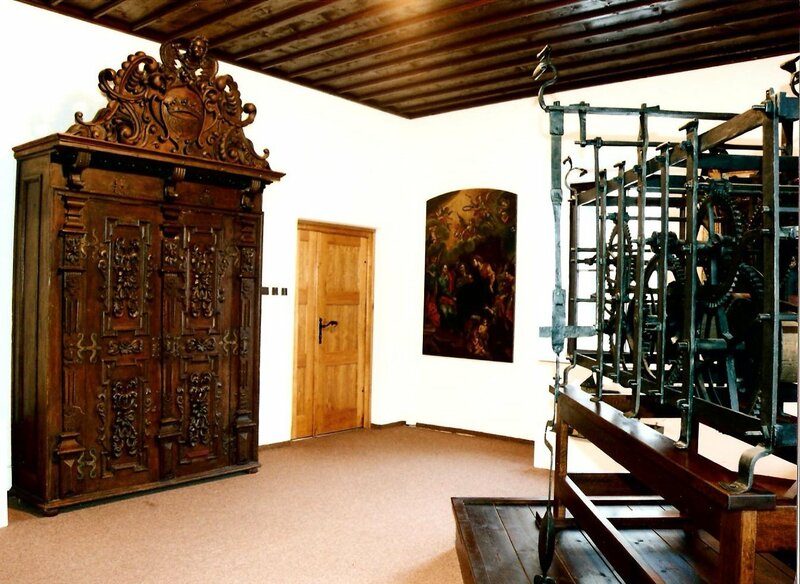 The Pernsteins and in turn the Liechtensteins contributed significantly to the development of the town and its architecture. 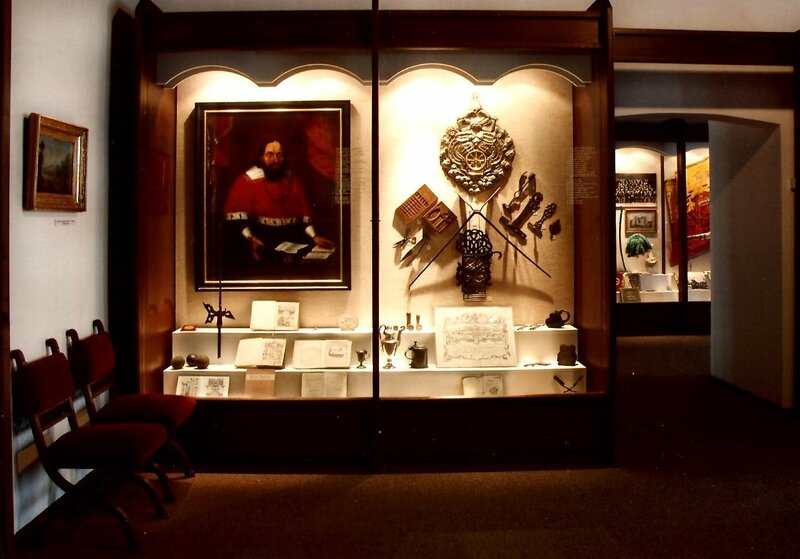 The permanent exhibition features the silver seal matrix from 1561 with the town’s coat of arms displaying a royal crown, apparently a gift of Vratislav of Pernstein. One part of the historical exhibition rightfully honours Lanškroun’s most famous native son and a scholar of global importance, Jan Marek Marci (1595-1667). Besides writing on and studying mathematics, astronomy and physics, he also ran a successful medical practice. He completed 16 scientific treatises and is considered the founder of spectroscopy. 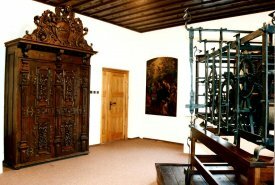 The Baroque period is represented by valuable wooden altars with painted panels depicting Biblical scenes, the burgomaster’s cabinet from 1675, the Town Hall clock mechanism from 1660 and a metal casket from mid-18th The activity of various guilds in the town is represented by their seal matrices, samples of work, signboards as well as written documents. Also illustrated here is the significant influence of the prominent Erxleben family, textile entrepreneurs and pharmacists. The first of them was the chemist and pharmacist Christian Polycarp Erxleben, an immigrant from Hannover who founded the first pharmacy and linen-making workshop in Lanškroun. He supplied cloth to customers at home and abroad. His son Eduard was Lanškroun’s elected burgomaster and head of the local marksmen’s club. The activities of some other clubs and societies, namely the theatre and music societies, are also documented by a collection of items such as flags, medals, trophies and photographs. The embroidered silk flag of the Sokol Gymnastics Club comes from 1934. The jewellery and trophy cups on display attest to the mastery of their craft achieved by the goldsmith company of R. E. Langer, founded in 1882. Period photographs reveal the imperial manoeuvers of the Austro-Hungarian army in Lanškroun, attended by Emperor Franz Joseph I in 1894. The history of Lanškroun was affected by the Thirty Years War and later the Austro-Prussian War in 1866. The exhibited portraits, painted in oils, depict Lanškroun’s notable figures and burghers, namely Petr Jelito, Jan Kašpar Artzt, Josef Langer, Josef Niederle, Friedrich Gustav Piffl and others. The last room examines the life of the town’s Czech minority in the first third of the 20th century, the legendary ice-hockey goalman Bohuslav Modrý, and the writer and poet Jaroslav Hubálek. Old postcards depict the urban and economic development of the town.